Mesut Özil has resigned from the German national team (DFB) and raises allegations against Mercedes following the Turkish President Erdogan photo scandal. 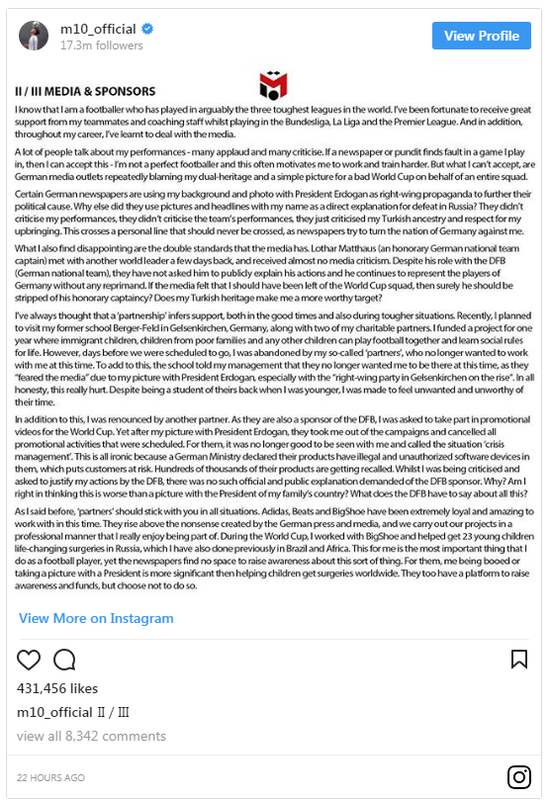 After leaving his team, Mesut Özil says good-bye to his fans and addresses his sponsors in a multi-page letter posted on Instagram. While praising “Adidas”, “Beats” and “BigShoe” as loyal partners who continue to work with him despite the media hype surrounding him, he is heavily blaming a major German automaker. 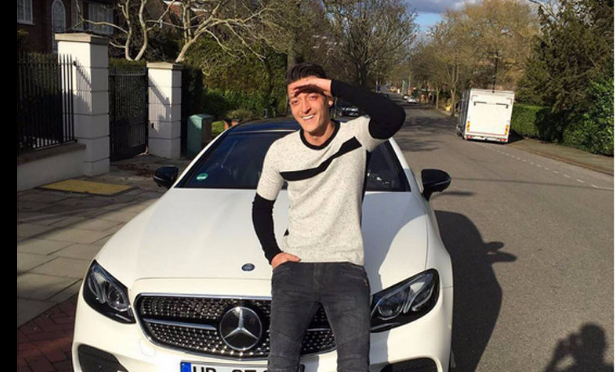 Although this sponsor is not named, it is clear that Özil charges against Mercedes. According to his own words, he was deleted after the controversial photo with the Turkish President Erdogan from the Mercedes-Benz advertising campaign of the national team for the World Cup in Russia. This approach is ironic, as Mercedes as an official DFB sponsor currently due to the allegations of diesel manipulation also is not in the best light, so Özil’s mistake could have been treated more lightly.